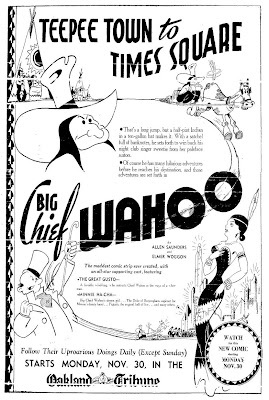 Allen Saunders (1899-1986), creator of Big Chief Wahoo and Steve Roper, studied at the Chicago Academy of Fine Arts and worked as a reporter, columnist and drama critic for the Toledo News-Bee. 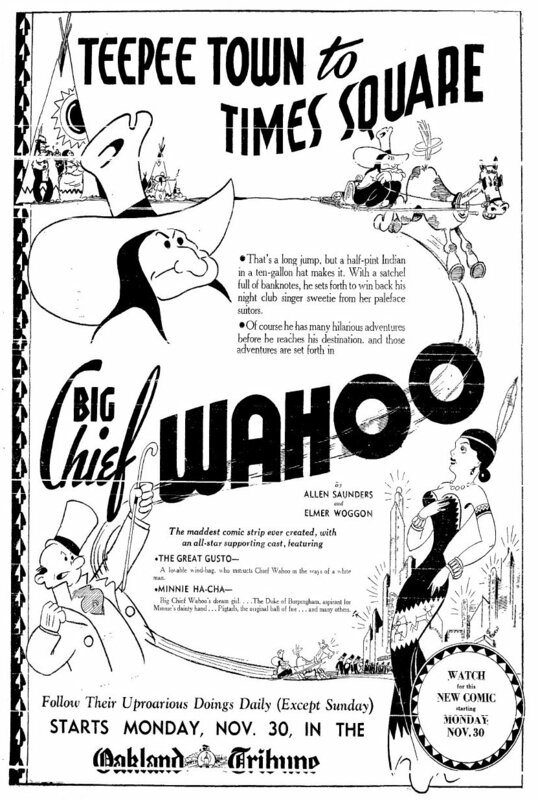 In 1936 he joined cartoonist Elmer Woggon in creating Big Chief Wahoo. 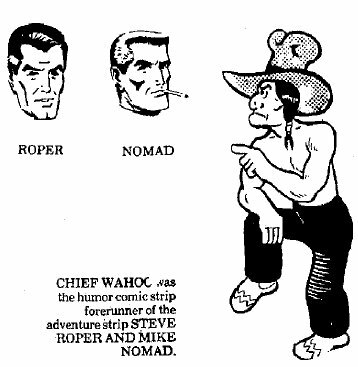 One character in that strip, Steve Roper, introduced in 1940, became so popular that he ran away with the strip. 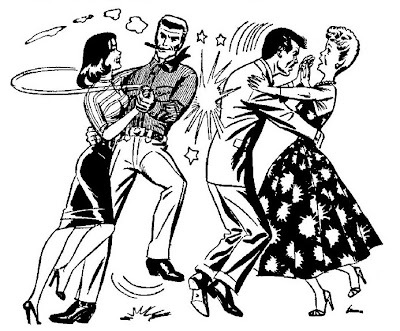 Roper, in turn was replaced in popularity by another character, two-fisted Shell Scott look-a-like Mike Nomad. 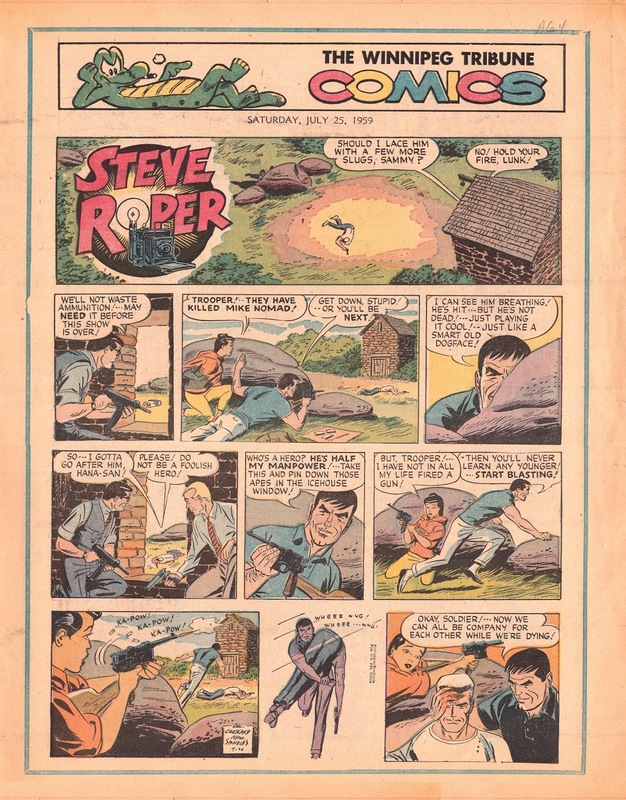 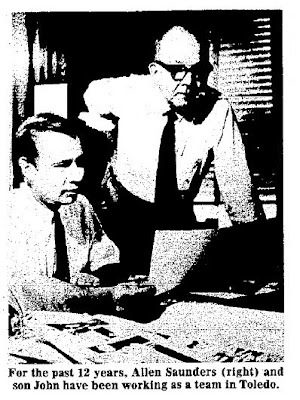 Saunders worked on Steve Roper, drawn by New York artist William Overgard, and Mary Worth, drawn by Ken Ernst until his retirement in 1979, although much of the work on Steve Roper was taken over by his son John Saunders in 1970. 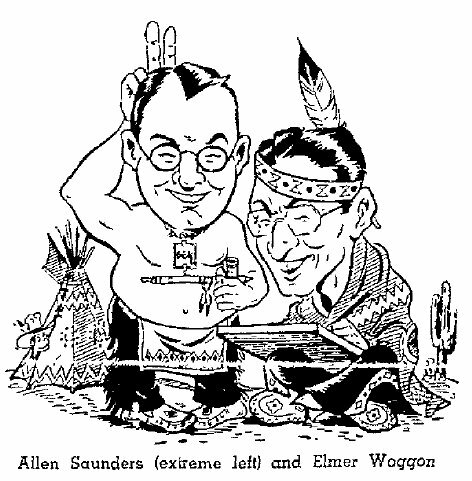 John Saunders also wrote a strip about a pair of newsmen called Dateline: Danger!